It’s been six months, and we’re back at the website Before the Cross. The writer today is Chris Howard. Click the title below to read at source. Why are these people singing about blood? Of all things, why are they thankful for blood? If those are the questions, I hope they don’t leave without getting them answered and I certainly hope they come back. Let’s face it. The lyrics aren’t exactly “seeker” friendly and some churches might treat this song like any blood-related incident, to keep the lyrics sanitary and removed from the scene, out of mind and out of sight for believer and non-believer alike. Blood evokes a strong mental image and unless you’ve been desensitized by horror movies, it usually isn’t an image someone likes to think about. 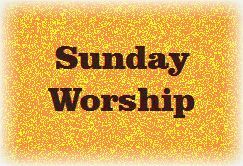 There are certainly other worship songs we could sing that would bring about more peaceful, calming and relaxing images of God’s saving grace without mentioning blood. And that’s the very reason why I think we need to sing about it. Without the blood shed by Jesus Christ, there is no cross. If there is no cross, there is no resurrection of Jesus Christ. If there is no resurrection, we are doomed. Since the first sin of man in the Garden of Eden, blood was required. Animals were sacrificed for their skins to cover up the nakedness of Adam and Eve. The sacrifice of animals for atonement of sin was still present in the time of Jesus. The Israelites are instructed to place animal blood over the door of their dwellings to avoid God’s plague on Egypt. Jesus, before His crucifixion refers to his shed blood as that which would forgive sins. Redemption, fellowship and cleansing are benefits we as Christians who believe in Jesus Christ get to enjoy as a result of His shed blood. We often see what we prize most in light of what we pay for it. In the case of our salvation, it is we who were purchased with blood that ran through the body of our savior, the same body broken on our behalf to allow God and His creation to have a restored relationship. If you are a Christian, you are in this restored relationship. We can sing it out unashamed. Thank you Jesus. Thank you for the blood! Deborah (named after the prophetess) is a retired doctor now living in Swansea, Wales; a Christian for over 40 years, and an avid reader of the Bible. This is our first time featuring her writing here. To discover more, click the title below and then look around at some of the other articles. The worship of the old covenant took place in the Tabernacle (and, later, the Temple, which was constructed in a similar way) The sanctuary was divided into two rooms by a heavy curtain. In the outer room, the priests would perform certain duties (such as burning incense and tending the lamps); but they could not enter the inner room, where God was present. Only once a year, on the Day of Atonement, was the high priest allowed to enter the Most Holy Place – provided he took with him the blood of sacrifice to sprinkle onto the lid of the Ark. Thus the very nature of Tabernacle worship bore witness to its inadequacy. God was not really approachable; even while living symbolically in the midst of His people, He remained at a distance, and access to His presence was severely restricted. There was an impenetrable barrier between the first and second rooms that no amount of animal sacrifices could break down. This symbolized the real barrier between human beings and God – which was never a physical barrier in a building but an internal, spiritual barrier located in the conscience. And so it could not be removed by the physical rituals of the old covenant. But the death of Jesus has changed everything! What made the difference was the nature of the sacrifice that He offered and the location where He offered it. For He alone was able to enter God’s actual presence in heaven – not once a year, but once for all. And the death that He presented as atonement was not that of an animal but His own. Thus He paid the full redemption price for all God’s people – a price for which nothing in this world would have been sufficient (I Peter 1:18,19). The animal sacrifices had to be endlessly repeated because they never actually achieved anything. “It is impossible for the blood of bulls and goats to take away sins.” (Hebrews 10:4) But Jesus was a willing, rational and morally perfect Victim, and His sacrifice was accepted by God – which is why it will never need to be repeated (Hebrews 10:14). He had to die only once to save everyone! Only one sacrifice could effect this momentous achievement – but now that it has been made, there is no need to repeat it or add to it. It is ‘the sacrifice to end all sacrifices’; the old system has been abolished at a stroke. The real, heavenly sanctuary has now been cleansed, signifying that God has forgotten our sins and that we shall be welcomed into His presence. We can neither be shamed by them now, nor condemned for them later! So while the repetition of the old covenant sacrifices was a reminder of sin’s continuing dominion (Hebrews 10:3), the repetition of the Lord’s Supper is for us a reminder of sin’s definitive removal. Imagine, for example reading Ephesians 2:1-3 and then saying to a non-Christian friend that you just learned that they are ’dead in their sins’ (verse 1), or a follower of Satan (verse 2), or ’children of wrath’ (verse 3). Many fine folk would, I think, say something like “well that does not sound like me, I feel quite alive thank you, I have never been involved in Satan worship, and if there is a God I should not be judged by such a God for I am basically a good person.” How do we reconcile what we learn from scripture about our fallen nature with what a lot of what people think and feel? First, you don’t need to feel dead to be dead. This mention of being dead takes us back to the story of the fall in Genesis. God said to Adam “You may surely eat of every tree of the garden, but of the tree of the knowledge of good and evil you shall not eat, for in the day that you eat of it you shall surely die” (Genesis 2:16b,17 ESV). Now we know that on the day Adam and Eve ate from the forbidden fruit they did not die, but on that day we can say that death entered into the world, death becoming their inescapable future and a sure bet. In this sense when we are without God today we are “dead in our sins,” it only being a matter of time before death catches up to us. Nor do you need to worship Satan to be listening to his voice. Again we go back to the story of the fall where we find the serpent tempts Eve, not to worship him, but to stop trusting God. Most people would never admit to worshipping Satan, but when pressed, might admit to not trusting God. But what about the unbeliever who seems to be perfectly moral, in fact more moral perhaps than most believers; can we really say they are “children of wrath” deserving of what is commonly known as hell? According to the Bible you are either a child of wrath (Ephesians 1:3), or a child of God (see John 1:12). Many would like to say that by their moral actions they show themselves to be closer to being a child of God than a child of wrath. But this is like saying that a pregnant woman is a little bit pregnant, or very pregnant. I have heard and used such expressions but of course one is either pregnant or not. You are either a child of wrath or you are a child of God, you cannot be somewhere in between. Further, the symptoms may not be a good indication of truth. There was once a show on TV chronicling the stories of women who gave birth despite not noticing any indications or “symptoms” of pregnancy until the last minute. You could say that with my middle-aged-spread — which began in my 20’s! — I have more symptoms of being pregnant than what some of those women experienced! What matters is not the symptoms, but the truth. And it does not matter how righteous or moral a person appears to be “all have sinned and fall short of the glory of God” (Romans 3:23 NIV). Consider the righteousness of Adam and Eve. When they were convicted of sin and banished from Eden they had no prior history of sin, and in sinning had not harmed anyone directly, nor done anything that most people might consider “immoral.” What they did was fall short of the glory of God, trusting the words of Satan over God, and so became children of wrath. However, verses 1-3 are not the main point of our passage. They are verses that some will not get past in their denial of their need for a Saviour, but they are not the main point. Here is the main point: “But because of his great love for us, God, who is rich in mercy, made us alive with Christ even when we were dead in transgressions—it is by grace you have been saved” (Ephesians 2:4, 5 NIV). This passage is not really about sin or death or hell, but is about God’s grace, mercy, and love. 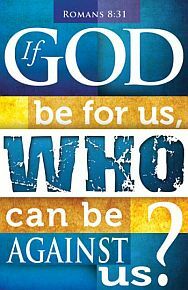 No one need fear hell for anyone can trade in their status as a child of wrath for a new family tree, becoming a child of God and recipient of his grace though faith. “For it is by grace you have been saved, through faith—and this is not from yourselves, it is the gift of God” (Ephesians 2:8 NIV). We can imagine God’s grace and our faith like this: we are stuck in quicksand and there is no way out. However, God reaches down and lifts us out in the palm of his hand. God’s love, initiative, and reach to rescue is the grace by which we are saved – we would be sunk without that. Our trust which keeps us in his hand is the faith through which we are saved – we’d jump back into the quicksand without that. What most people do not realize is that while we are alive we all, everyone included, experience a measure of God’s grace. That we can live at all, breathing, relating, enjoying life is a sign that we are experiencing God’s grace. God is under no obligation to grant us life but he does so as a sign of grace. This should help us to understand what we know of as hell. We tend to think of hell as punishment reserved for those who have done evil things to other people, making salvation and hell a matter of morality. Many naturally consider murderers as deserving of hell, but regular law abiding folk as not for example. But in the Bible, separation from God (hell) does not come just because one deserves it. It also comes because one desires it. Having experienced God’s grace by breathing some will curse the God who gave them breath and say “I don’t need you.” Having experienced the grace of God through loving and being loved, some will curse the One who has loved them the most and say “I don’t want you.” And so some choose to jump out of the hand that has been holding them, the hand that is ready to save them if only they will turn to in repentance, and not away from, the Giver of Life. We have all at some point been in an utter mess, dead in sins, under Satan’s influence, and children of wrath, but utter grace is there for anyone who will take and trust that nail-scarred hand reaching for us in grace.! Today’s post is from Clarke’s archives and was originally written in April, 2013. This is today’s reading from the devotional that I read, Daily Encouragement. “This is your hour–when darkness reigns” (Luke 22:53). Today we, who hold to the Christian faith, look back nearly 2,000 years ago to the ultimate Sacrifice. On this Good Friday we solemnly remember that our Savior breathed His last at the hands of wicked men. We also realize this day is good because God showed us the full extent of His love by making restitution for our redemption. When He was arrested Jesus said to the chief priests, the officers of the temple guard, and the elders, “This is your hour–when darkness reigns” (Luke 22:53). This hour of darkness, which we believe included the period of time between His arrest and resurrection, appeared to be a hopeless situation, an excruciating time in the cosmos. Again consider, this was the period when our Lord Himself declared, “darkness reigns”! Although we believe Jesus was primarily speaking of spiritual darkness a physical darkness was demonstrated at His death during His final three hours on the cross when “darkness came over the whole land until three in the afternoon, for the sun stopped shining” (Luke 23:44,45). In a much earlier time period evil was also present in the dark deeds inflicted upon Joseph by his eleven brothers when they plotted his death. Consider the merciful perspective expressed in Joseph’s response to his wicked brothers after many years, “You intended to harm me, but God intended it for good to accomplish what is now being done, the saving of many lives” (Genesis 50:20). This took on much greater fulfillment, in the person and work of Christ, as Christ poured out His goodness on those who sought to do Him evil. Yes, surely God intended the cross for good. He even used evil hearts to bring about His set purpose. He was not overcome by evil, but He overcame evil with good. God’s plan of salvation was divine in nature, but He also helps us every day to overcome evil with good. We walk in newness of life and in the power of His resurrection. We were blessed yesterday when we saw the message on the sign … “Only A Living Savior Can Rescue A Dying World”. This Good Friday let be very intentional in praising God from whom all blessings flow as we remember the greatest Sacrifice of all time. Let us give deep, heartfelt thanks to God for His incomparable love and the demonstration of His love as seen in the One impaled on a bloody cross. That I might live, that I might live. Before the sacrificial ministry of Christ can be understood, the fullness of his ministry as man must be appreciated since it is as man that he lived among humankind and that he died. It is easy to allow one’s mind to miss the extent of the Lord’s ministry on behalf of people and to fail to perceive the extent of his love, and even the means of eternal salvation without knowledge of his humanness. Jesus was born from the womb of Mary possessing the human characteristics of all humankind. He had the same limitations and suffered the same temptations. He came to help humankind, and to be effective in doing so he had to endure the flesh and its trials just as must all people. “For this reason [to help people] he had to be made like his brothers in every way in order that he might become a merciful and faithful high priest in service to God, and that he might make atonement for the sins of the people.” (Heb 2:16─17 NIV. Italics added.) There was nothing about the humanity of Christ that would distinguish him from anyone else. He was fully human. He hurt when his flesh was wounded and agonized over the death of friends. He went hungry and became tired. His body exerted the same desires and demands as does that of all men. The above passage goes on to say, “Because he himself suffered when he was tempted, he is able to help those who are being tempted.” (Heb 2:18 NIV) The temptations that afflicted the Lord caused him distress and suffering. A temptation is something that has a draw on the flesh and motivates for its appeasement. The writer of Hebrews has revealed the effect of temptations on Christ. “During the days of Jesus’ life on earth, he offered up prayers and petitions with loud cries and tears to the one who could save him from death, and he was heard because of his reverent submission.” (Heb 5:7 NIV) The Lord fought his flesh and its draws; his interest in living a holy life and in pleasing his Father was greater than interest in his body. Christ experienced the humanity of people and he understands it. His experience was necessary so that he could become our merciful and faithful high priest. A high priest offers sacrifices for sins committed “in ignorance.” (Heb 9:7) Known sin is to be confessed in order to be cleansed (1 Jn 1:9); however, unknown sin, that not recognized as sin by the sinner, must also be cleansed. According to his knowledge of the flesh and his mercy, Christ offers his blood to meet one’s need in this regard. The human body and its interests are so prone to evil that Paul calls it “the body of death.” (Rom 7:24) The Lord’s experiential understanding is a blessing for those who seek righteousness, but is a curse for those who are willing to submit to carnal interests. Paul wrote, “Now if we are children [of God] then we are heirs—if indeed we share in his sufferings in order that we may share in his glory.” (Rom 8:17 NIV Italics added.) The requirement for sharing in his glory is that people must suffer to gain victory over those unrighteous practices and thoughts that tempt the body and soul. Paul taught, “No temptation has seized you except what is common to man. And God is faithful; he will not let you be tempted beyond what you can bear. But when you are tempted, he will also provide a way out so that you can stand up under it.” (! Cor 10:13 NIV) John taught, “Whoever claims to live in him must walk as Jesus did.” (1 Jn 2:6 NIV) The Lord triumphed over temptations so he knows that victory can be gained and the redeemed need to appreciate that he knows their commitment, or lack of it, to defeat sin. The Spirit of Christ is there to help during times of temptation (Heb 2:18), but they, like the Lord, must seek it. “Let us then approach the throne of grace with confidence, so that we may receive mercy and find grace to help us in our time of need,” (Heb 4:16 NIV) Believers are not called to live a passive life. 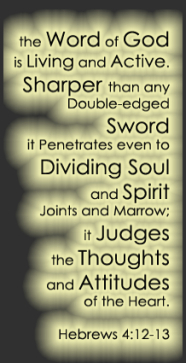 They are to contend for victory, just as Christ did, and they are to help one another in that battle. It was the humanity of the Lord that enabled him to be an acceptable sacrifice for humankind and it was his humanity that allowed him to appreciate the trials of the flesh arousing his mercy and grace so that he might intercede for those seeking to walk in the light and to pursue righteousness. Many accept that his ministry for them was completed at the cross, however, it is on-going and will only be completed when his life in the confessor is quenched, thwarted, or denied or when death occurs. He is the second Adam, the victorious one, and the one that enables victory. 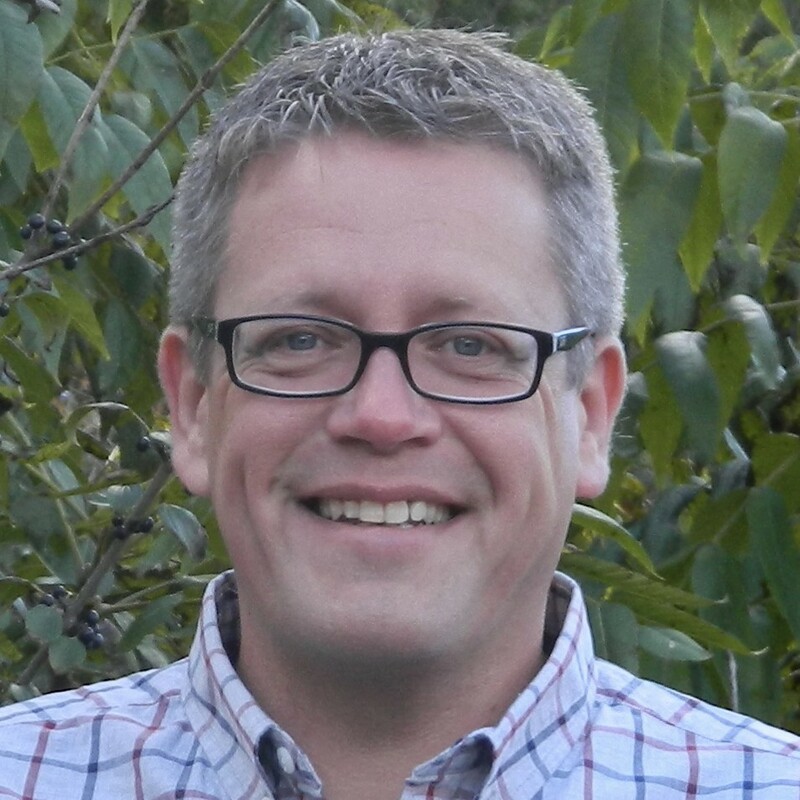 After next week, Russell Young’s articles will appear here on alternative Tuesdays. 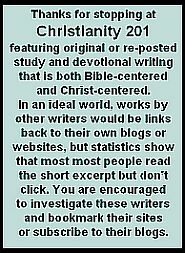 We’re introducing a recurring feature starting August 6th with all articles appearing under the title Sunday Worship. Feel free to recommend any writers or articles you think would fit here. 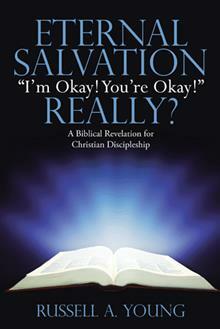 Russell Young is the author of Eternal Salvation: “I’m Okay! You’re Okay!” Really? available in print and eBook through Westbow Publishing, Amazon, and Barnes and Noble; and in Canada through Chapters/Indigo. Today we’re paying a return visit to Think Theology. This time around the author Michael Sterns. This was published originally approaching Good Friday. Click the title below to read at source. Here in 1st Corinthians, Paul lays out one of the most beautiful passages in his corpus. He argues with Old Testament support that what God has done through the cross was beyond any human understanding. This is the wisdom of God: through the crucified Messiah, God has shown his plan for redemption. The Romans famously put crosses on busy roads or by the entrance to a city to make statements to anyone who saw the person hanging there. People would walk past these terrible scenes of slaves and rebels on crosses, and it would convince them to never join any movement against the Roman government. Crucifixions were humiliating. It wasn’t something that anyone wanted. Jesus was probably crucified in AD 33. About thirty years before Jesus’ death, there was a huge rebellion recorded by Josephus after the death of Herod the Great in 4 BC. Varus, the Roman general in charge in the province of Syria at that time, did what Romans did best: he destroyed the rebellion by crucifying almost 2000 rebels. Jesus was probably a little boy hearing about these horrible deaths on crosses. And thirty years after Jesus’ crucifixion, the Roman general Vespasian and his son Titus closed in on Jerusalem during the great war. They overran the city, and they crucified so many Jews outside the city walls that they almost ran out of wood. Jesus’ crucifixion happened between these two brutal mass crucifixions, but this is how God showed his plan for redemption. This was his statement. He took the scandalous cross and displayed his love for the world. It was the greatest contradiction (like a Starburst…). Karl Barth in his commentary on Romans says, “The life of Jesus, on the other hand, is perfect obedience to the will of this faithful God. He gives himself up to sinners as a sinner. He places himself completely under the judgment which rests upon the world. He places himself there, where God can only still be present as the question of God. He takes the form of a servant. He goes to the cross and dies there. At the high point, at the goal of his way, he is a purely negative magnitude; not a genius, not the bearer of manifest or hidden psychic powers, not a hero, a leader, a poet or thinker and precisely in this negation (“My God, my God, why have you abandoned me?”), precisely in that he sacrifices every brilliant, psychic, heroic, aesthetic, philosophical, every thinkable human possibility whatsoever to an impossible more, to an unintuitable Other, he is the One who fulfills to the uttermost those mounting human possibilities born witness to in the law and the prophets. Therefore, God exalted him, therein is he recognized as the Christ, thereby he becomes the light of the last things which shines forth above everyone and everything. Truly we see in him God’s faithfulness in the depths of hell. The Messiah is the end of the human. There too, precisely there, God is faithful. The new day of the righteousness of God wants to dawn with the day of the ‘sublated’ human. The cross was the only way for Jesus; there were no other possibilities. This was God’s plan. Paul has not told us here exactly how the cross is salvific, but the whole story of Jesus makes it plain. In the death of Jesus, God has taken judgment upon himself. He uses the cross as the ultimate declaration to the world of his covenantal (and sacrificial) love. It shows the lengths to which God will go to bring about redemption, even death on a cross. When we look at Jesus on the cross, we see the face of God. Christians see the cross as the greatest paradox. It absolutely is scandalous. What does it mean that the Son of God died upon the cross? On this Good Friday, let’s not immediately move towards the resurrection, towards the joys of Easter morning. Let us look at the cross. Let us look at our crucified Savior. It might look foolish, but it is the wisdom of God. For further reading: Fee, Gordon D. The First Epistle to the Corinthians. . William B. Eerdmans Publishing Company. Grand Rapids, MI: 1987. Wright, N.T. The Day the Revolution Began: Reconsidering the Meaning of Jesus’ Crucifixion. HarperOne. New York, 2016. Six months ago we introduced you to bestselling author and teacher Richard Rohr. His writing is posted at The Center for Action and Contemplation. Picture yourself before the crucified Jesus; recognize that he became what you fear: nakedness, exposure, vulnerability, and failure. He became sin to free you from sin. 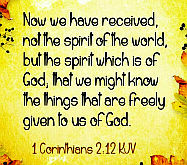 (See 2 Corinthians 5:21.) He became what we do to one another in order to free us from the lie of punishing and scapegoating each other. He became the crucified so we would stop crucifying. He refused to transmit his pain onto others. Adapted from Richard Rohr, “Jesus: Forgiving Victim, Transforming Savior,” Richard Rohr on Transformation, Collected Talks, Vol. 1, disc 1 (Franciscan Media: 1997).